Brando SD is a bold and friendly young stallion with an excellent temperament. 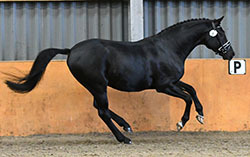 He is a son of the renown Hilkens Black Delight with an exciting dam line full of proven lines and legendary names including Downland Folklore, Brillant and Night-Star I.
Sire: Hilken’s Black Delight was 2005 Weser-Ems Stallion Licensing Champion, receiving high praise from the licensing committee and standing ovations from the crowd. 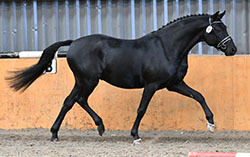 He was described as being “as close to perfection as possible” and became the first pony stallion ever to be invited to the Oldenburg Stallion Parade. As a 4 year old he was State Champion and winner of his Performance test, scoring 10 from the guest rider and praised for his jumping, both X-country and over show jumps. 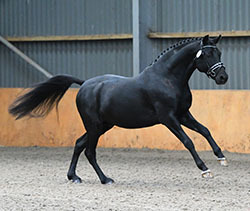 In 2009, Black Delight became Weser- Ems 6-9 year-old Stallion Champion and qualified for the Bundeschampionate before being sold to France. His sire Branduardi M was successful at L-level in dressage & showjumping and his dam, Syrah also competed in dressage and L-level jumping. Damsire: Voyage, a proven sire of dressage ponies whose progeny have won over €11K, is a son of Valentino, who was highly influential in Dutch & German part-bred Welsh sport pony breeding and was awarded the Sport predicate. Brando SD is a bold and friendly young stallion with an excellent temperament. 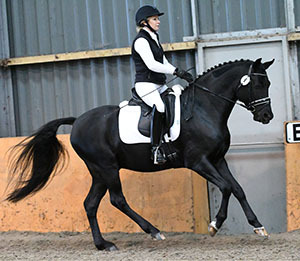 He enjoys his work and is constantly improving and moving forward with his dressage training. 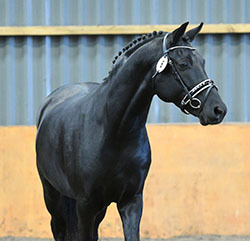 As a foal he was awarded a High First Premium at the BEF Futurity and also at the Scottish Sports Horse grading. He has had a couple of competition outings at Novice level and received good marks and very positive comments from the judges. One of his highlights is his medium trot and this was also recognised by the grading judges commenting that he had “good freedom and cadence” in his free trot. 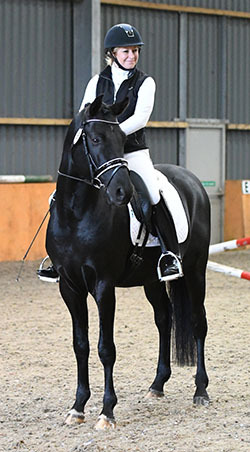 He will be out competing in affiliated dressage competitions in 2017. As a newly licensed stallion, Brando SD will be available at stud for the first time in 2017. He has an exceptional temperament as well as being from renowned German dressage and jumping bloodlines and definitely has that ‘look at me’ factor! His consolidated German Riding Pony breeding with his pedigree full of proven competition bloodlines should make him a good cross for pure and part-bred native, Arab & British Riding Pony mares as well as for other German Riding Ponies or to reduce the height on horse mares.